BEEHIVE 12″ circular water based oils – the process. 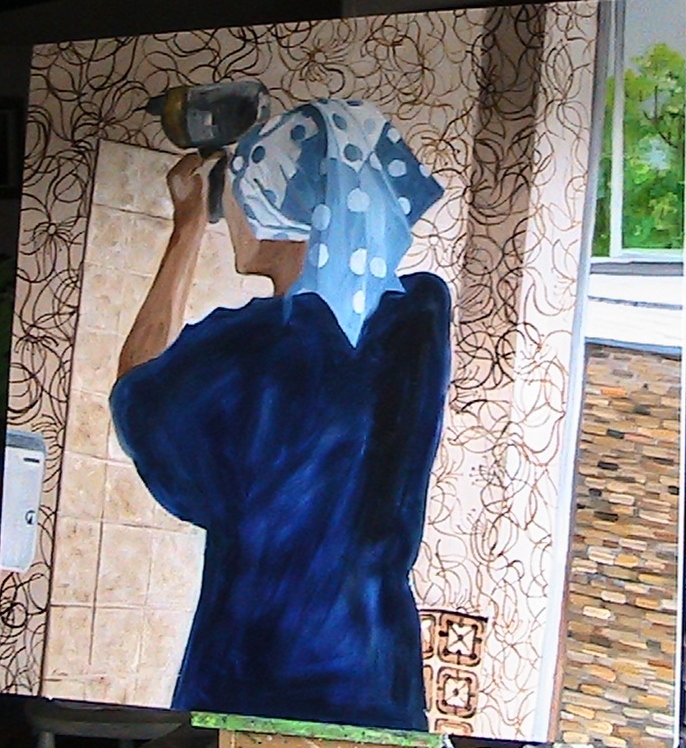 CAMERA TWO 30″x40″ acrylic – the process. FLOWERPOT MAN 10″ x 8″ water based oils – the process. HARRY & ALICIA 30″x40″ water based oils – the process. HERE’S LUCY 24″ x 24″ – water based oil – the process. HOSTA 30″ x 30″ water based oils – the process. 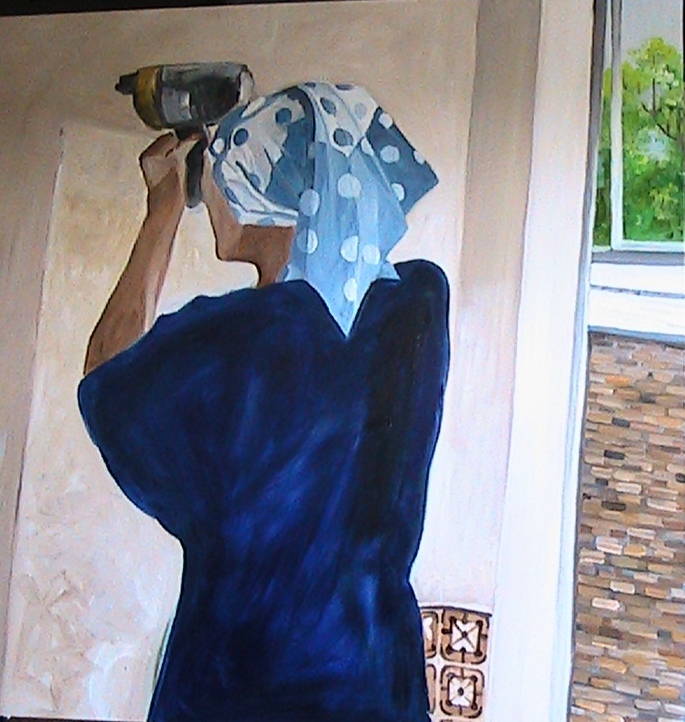 ROMANIAN DOORS 32″ x 48″ acrylic – the process. STRAW HAT 40cm x 30cm water based oils – the process. STREET PARTY 30″ x 40″ water based oils – the process. SUNSET AT KALIMANTAN 30″ x 40″ water based oils. In aid of BOS. THE ATTENDANT 100cm x 80 cm water based oils – the process. THE CONSERVATORY 30″ x 40″ water based oils – the process. THE MOBILE 30″ x 40″ water based oils – the process. 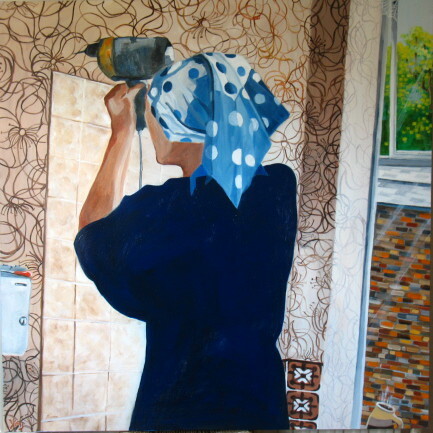 THE OFFICE 79cm x 60cm acrylic – the process. 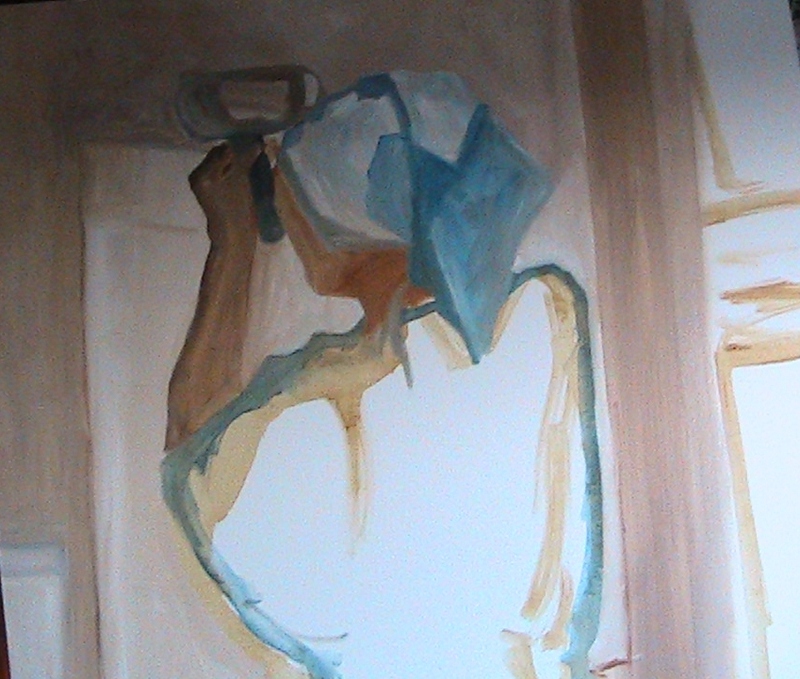 THE REDHEAD 20″ x 40″ water based oils – the process. 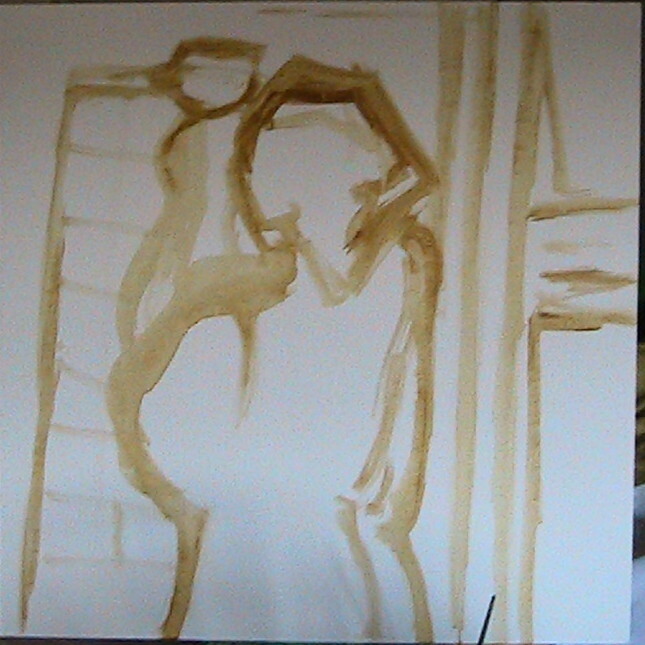 THE SWING 16″ x 20″ – water based oils FINGER PAINTING the process. THE THREE WITCHES CAFE 30″ x 40″ water based oils – the process. THE WIDOW 80cm x 80cm water based oils. The process. Mum’s first attempt at DITY after dad died. The bathroom was her first project and this was inspired by a grainy Poloroid I took when she was busy. She was around 42 and within a year was knocking walls through and double glazing our 14 roomed terraced house.